Ending months of speculation, the Donald Trump administration cut off India from duty-free access to the US market under its largest preferential trade scheme, but New Delhi played down the impact of the move and is unlikely to contest it. Scrapping the benefits under the Generalized System of Preferences (GSP) will take at least 60 days, officials said. 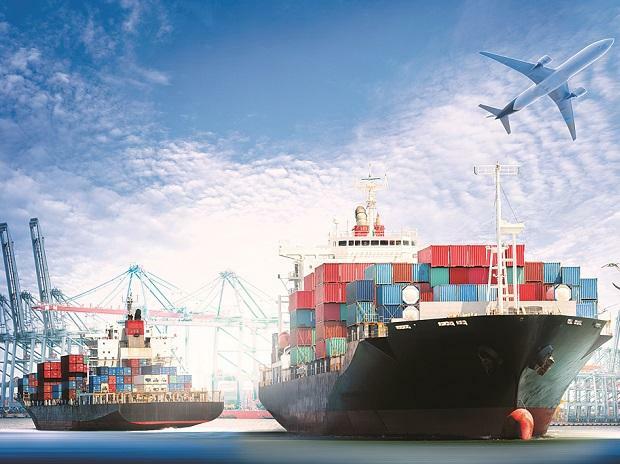 India was caught off guard late on Monday night when the United States Trade Representative’s (USTR’s) office announced that India and Turkey would henceforth not be able to claim duty-free trade benefits under the GSP. Talks on the issue had been dragging on for months. The Indian government on Tuesday made light of the development, saying it was not keen on seeking an overturn of the USTR's order, given that lengthy talks on the matter had broken down earlier. 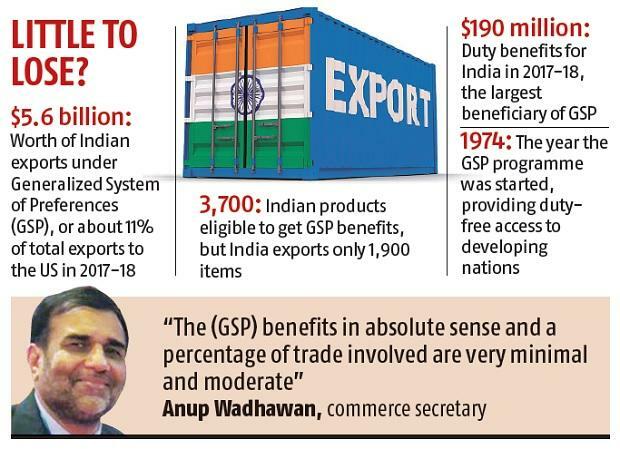 “The (GSP) benefits in absolute sense and as a percentage of trade involved are very minimal and moderate,” Commerce Secretary Anup Wadhawan said. “The solutions were there as part of the existing discussions, but unfortunately they couldn't conclude in a manner that could've brought a different outcome,” he added. India exported goods worth $5.6 billion under the GSP last year, but “our total GSP benefits were to the tune of only $190 million,” the secretary told reporters. He said that because of the US’ decision, India's competitive advantage against other developing nations would get hit only marginally. India is the largest beneficiary nation under the GSP, the largest and oldest US trade preference programme designed to promote economic development by allowing duty-free entry for thousands of products, mostly from developing nations. The move to end the GSP for India and Turkey is the latest push by the Trump administration to redress what it considers unfair trading relationships with other countries. Trump has pledged to reduce US trade deficits, and has repeatedly called out India for high tariffs. The first casualty of the latest development is expected to be the mutually acceptable trade package between the two nations, under negotiation for months. Trade officials have met as many as five times in the last one year to hammer out a deal that provides an amicable solution. Sources had earlier indicated India was considering the dismantling of its current price-cap regime for coronary stents in favour of a trade margin policy. But the government now says that keeping in the mind the realities of the health sector and India's position as a developing nation, essential medical equipment like stents would not see a hike in prices. Officials didn't clarify whether India would again delay the imposition of the already announced higher duties on 29 key imports from the US, which has been deferred a record six times. After multiple deferment since June last year, the tariffs are now set to go live from April 1. Wadhawan said internal reviews would be conducted to decide on whether the deadline would be extended, but other officials advocated the need of a tougher stance.